It seems that this time of year, everyone is making their holiday wish lists. And after hearing from Jalopnik that a Chinese investor ordered for 100 Tesla Model S cars to be transformed into convertibles by Newport Convertible Engineering, it had us thinking: what other cars would we convert? Or to the same token as the recently revived VW Beetle Convertible, which long retired models would we bring back? Although none of these would fit under our Christmas trees, today we dare to dream! In 2013, Nissan relaunched the Datsun brand, and ever since we have been hoping for a revival of the Z-series vehicles. 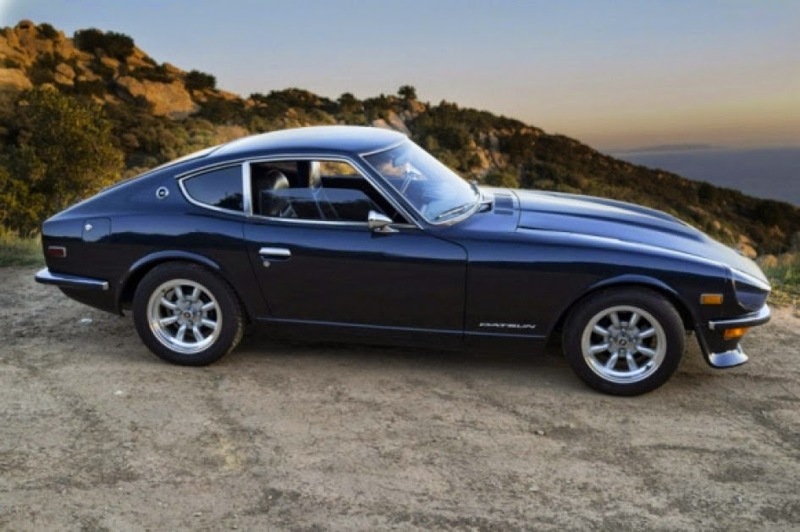 First launched in the US in 1969, the 240Z quickly became a favorite for sports car enthusiasts thanks to its combination of sleek lines and powerful performance. Subsequent models were released in 1974 and 1975, but was eventually phased out with the introduction of the Nissan 280ZX in 1978. Although the 280ZXs came equipped with T-tops, automobile roofs with removable panels on each side, we can’t help but fantasize about what the original models would have looked like in convertible form. The famous Dodge Challenger has always been known as one of the most iconic American muscle cars. In the 1970s, it was available either as a hardtop coupe, or in a convertible body design. Since being unveiled at the 2006 Detroit Motor Show, the third generation Challenger has been praised for taking many design cues from its 1970 predecessor. However, while Dodge has released multiple updates to the vehicle, including an 8-speed automatic transmission and a revamped exterior that likens the new model even more to the older versions, Dodge has yet to release a convertible version. With many awards to the Dodge Challenger’s name since being reintroduced, now seems like to perfect time to make that update! While German automakers are not known for prioritizing nostalgia in their new car designs, the 450SEL is one we are surprised not to see more echoes of today. Mercedes Benz is still known for its S-Class vehicles (short for “Sonderklasse,” German for “special class”), but today’s designs are radically different than that of their predecessors. When released in 1974, it was billed as the flagship of Mercedes’ luxury car line and was a true pioneer as one of the first vehicles to be produced with anti-lock brakes and a self-leveling hydropneumatic suspension system. While the S-Class vehicles are still popular to this day, we would love to see what the 450SEL 6.9 would look like with the top down. Which cars would you love to see reintroduced or rereleased as a convertible? Let us know in the comments!